The Indian Premier League (IPL) 2019 has already witnessed 30 matches and cricket lovers are desperately waiting for the 31st match which will be played between Rohit Sharma’s Mumbai Indians and Virat Kohli’s Royal Challengers Bangalore. The match of Mi vs RCB will be started from 8:00 pm IST onwards and viewers can watch the live streaming or live score on multiple channels or mobile apps for free. Rohit Sharma’s player will not lose any opportunity to remain in the top four positions in IPL 2019 Point Table. 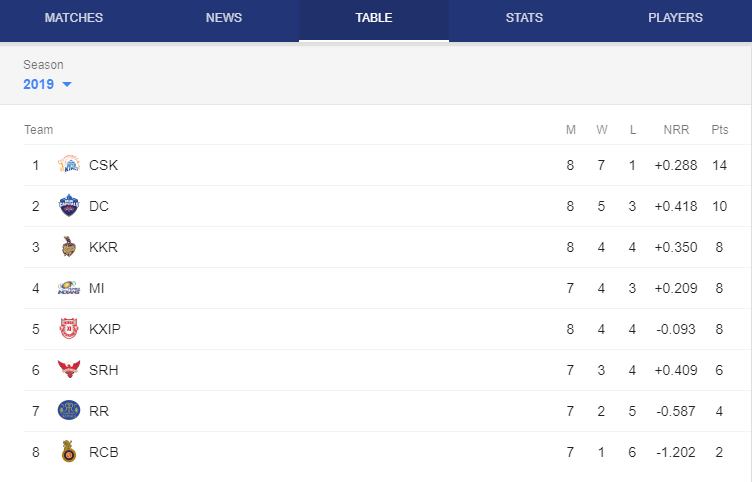 On the other hand, Royal Challengers Bangalore will make all possible efforts to remain in the race of qualifier as they have won only a single match as of now. Before getting into the details of today’s IPL cricket match live broadcast, live streaming, live broadcast or live score, let’s take a quick look at DC vs SRH highlight. In yesterday’s match, Delhi Capital scored 157 runs but Sunrisers Hyderabad could not chase the target and lost by 39 runs. On Wednesday (April 15) the match will be played between Mumbai Indians vs Royal Challengers Bangalore. The match will be started at 8:00 pm in India at 3:30 pm in the UK. Talking about Indian viewers, they can watch IPL 2019 live streaming for free on a television channel Star Sports, which has the right to telecast IPL 2019 and will broadcast Mi vs RCB match live across its network. The live streaming online of IPL 2019 will also be available on popular mobile application Hotstar and website. The match of Mi vs RCB will be started from 08:00 p.m (IST) onwards and viewers can watch the live streaming or live score on multiple channels of mobile apps for free.